Cpl. Roy L. Amyx, son of Mr. and Mrs. I.S. 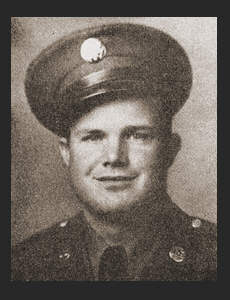 Amyx, graduated from Loveland High School, Entered Air Corps in 1942, trained in Ft. Sill, Okla., Sheppard Field, Texas, Burbank, Cal; did duty in Chanute Field, Ill. Awarded Good Conduct Medal, Am. Theatre Ribbon.